and waste materials are being accurately weighed to ensure whatever chemical process is taking place will work properly. A typical bioreactor consists of a variety of different parts, and it’s critically important that the flow rates of inputs and outputs are correctly controlled. Bioreactors are often cylindrical, ranging in size from liters to cubic meters, and are often made from stainless steel or glass. High precision industrial scales are often used to ensure that the flow rates into and out of the reactor is operating optimally. At Arlyn Scales, we’ve been developing industrial scales for more than 30 years, and serve all industries including organizations that utilize bioreactors. Below are a few of the reasons many companies continue to look to Arlyn Scales for their industrial scales. At Arlyn Scales, one of the ways that we differentiate ourselves from our competitors is in our ability to create custom designed scales for all types of industries. Depending on how your bioreactors are setup within your facility, we can develop a custom made scale that offers the exact features you need. 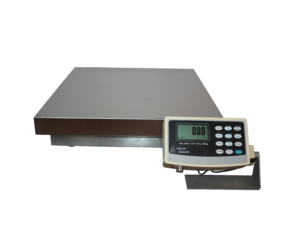 Many other scale companies are simply not setup in such a way that allows them to design and manufacture custom made scales. Instead, most companies are looking to sell as many off the shelf models as possible. At Arlyn Scales, our primary goal is to ensure our customers are satisfied and this often involves working to develop custom models that are uniquely tailored to a certain set of specifications. Another key feature of our industrial scales is our optional setpoint controller. This controller helps to automate a wide array of functions such as mixing, blending, filling, check weighing and inventory operations. Easily set up to 8 target weights that can be used to operate other types of equipment using PLC type functions. Imagine being able to control mixers, motors, feeders, solenoids, valves and other types of equipment all based on a certain weight on your industrial scale. One of the features that we’re most excited about when it comes to our industrial scales is our Ultra Precision Scales, which are powered by our Surface Acoustic Wave (SAW) technology which actually holds both US based and international patents. This unique technology allows us to create affordable scales that still feature precision capabilities even at high capacities. You may be asking how is this possible? Well, we use two SAW transducers on our load cells. One acts as a transmitter with the other being a receiver. When any amount of weight is applied to the scale platform, there is an extremely small change in the distance between the transmitter and receiver. The SAW wave formed by the transmitter is passed to the receiver, where it is then amplified and sent back to the transmitter, creating what is known as a feedback loop. The frequency of the wave between the two SAW transducers is directly proportional to the bending of the spring element, which is in turn directly proportional to the weight of the object on the scale platform. This allows our SAW scales to not only offer precision readings, but also have much higher capacities than force magnetic restoration scales, which are another popular type of scale that’s capable of precision measurements, but are incredibly expensive. Our SAW scales feature capacities from 10 lbs. up to 1000 lbs., giving our customers a wide array of highly accurate and reliable industrial scales for a wide array of needs. At Arlyn Scales, we try to constantly look for ways to innovate to ensure we’re always offering the highest quality scales for our customers. One area that we thought was ready for a bit of innovation was the display indicator. For decades, all industrial scales had a simple digital indicator that had very few features other than displaying the weight of an object. With the massive advancements in mobile technology, we thought it would be beneficial to combine the benefits of a tablet with the antiquated scale display. After a large amount of testing, we have come up with the Arlyn UpScale Touchscreen Indicator. This is a full-fledged Android tablet that features a 7” HD IPS touchscreen display so that you can take full advantage of all the various features of our industrial scales. In addition to a crystal clear display, the touchscreen device also features a high powered Quad Core processor featuring 1 GB of RAM to ensure it can handle your needs. Our customers have been blown away by the versatility of this touchscreen. While the Arlyn UpScale Touchscreen Indicator is manufactured with ruggedness in mind, we also include a rubber gasket molded enclosure to ensure water or other chemicals don’t cause any issues during regular use. Should you need an even more robust enclosure, we also feature an optional stainless steel enclosure as well. As you can tell based on the many scale features that we’ve introduced over the years, we’re constantly doing everything we can to provide a scale that meets or exceeds the needs of each of our customers. Whether you’re looking for a scale for weighing bioreactors, or any other type of industrial scale, don’t hesitate to reach out to our team to learn more about any of our off the shelf or custom designed models. We can be reached toll free at 800-645-4301 or via the contact form on our website.